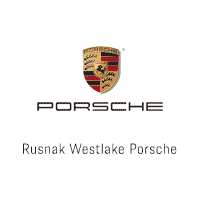 That's to be expected when shopping for a luxury sports car here at our Thousand Oaks, CA Porsche dealer serving Los Angeles, but this particular one really impresses. Of course we're talking about the 2018 Porsche Cayman 718, a two-door sports car that offers a big impression from a small frame. Head on over to our L.A. area Porsche dealer today for a closer look at the new 718 Cayman, and we'll gladly take you for a quick test drive. Powered by your choice of two turbocharged four-cylinder options – with the top of the line delivering a cool 350 horsepower – and offering the kind of sport-tuned suspension and steering that pairs nicely with the engine output. You'll find the compact cabin is smartly designed and oriented to give the driver the best feel for the road, and the tech features that come standard – which are plentiful – or as options round out the complete package. See more of the new 718 Cayman by coming over to Rusnak/Westlake Porsche today and we'll gladly take you for a test drive.